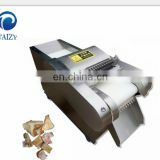 Grain Milling Machine/ spice grinding machine/Grain Grinding Machine we manufactured widely used in kinds of spices ,seasonings ,cacao, soybean, pepper , chilli ,buckwheat , black kerneled rice / rice / brown rice / mung bean / black soya bean / peanut / lotus seeds / corn / broomcorn / barley / oats / purple rice / sticky rice / millet / ormosia / bright rice / Gordon Euryale Seed / Dioscorea opposita Thunb / the root of kudzu vine / Radix Angelicae Dahuricae / Poria cocos / star aniseed powder / tea leaves / fructus amomi / white sugar / salt / in addition, it can also be used in milling rice, oat, corn...etc. 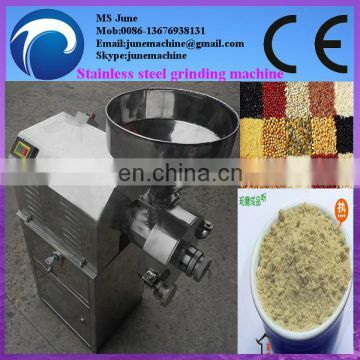 1.stainless steel grains grinding machine. 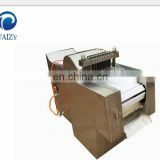 This machine is made of the stainless steel, equipped with double value capacitance asynchronous motors, strong power. 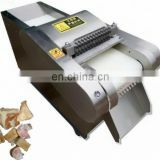 2.grinding fineness high - can mull all kinds of grains, Chinese herbal medicine ,dry pepper etc. 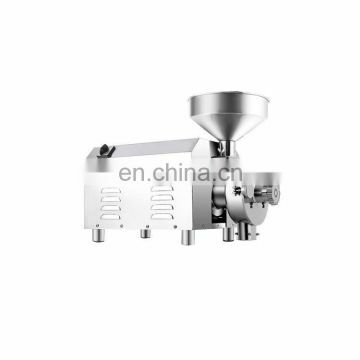 into uniform powder of 50 ~ 200 sections. 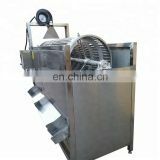 3.mull under the condition of low temperature .On continuous operation circumstance, the temperature of the powder produced can’t be more than 43 degrees,so it is not necessary to buy the cooling facilities to customers,saving money. 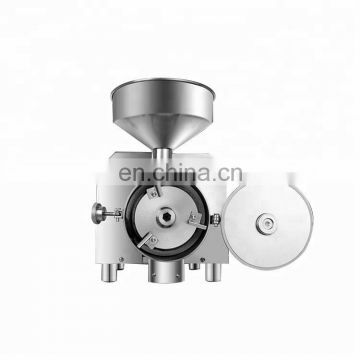 4.grinding with a low cost - the lowest energy consumption under the same conditions, generally speaking, the powder consumption for processing a kilogram of 50-200 sections powder is below 0.25 degree,Special mechanics principle design makes the machine itself consumables loss few,simple maintenance,can reduce the production cost. 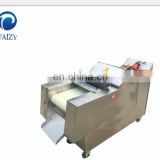 5.Cover a small area - due to theingenious design, grinding with a low noise, easy operation, grinding exquisite, no dust.